For Panagiotis Kyriakidis, General Director and Winemaker of the Pavlidis Estate outside the northern town of Drama, spring arrives when the vines begin to bud and put out their first bright green leaves. We drew on his local knowledge to find the best Drama has to offer to the spring-time wine-loving visitor. Northern Greece is an innovator in wine tourism and has many distinct wine-producing regions. One of the most important is Drama where red and white varieties are cultivated with great success such as Assyrtiko, Sauvignon Blanc, Chardonnay, Syrah and Agiorgitiko. Most wineries in the area are open to visitors. They are located quite close to one another and so with a little bit of planning you can visit quite a few even in just one day. Towards the end of May is when the ‘Dramoignosia’ (Drama Wine-Tasting) takes place – the whole city celebrates with cultural and musical events. 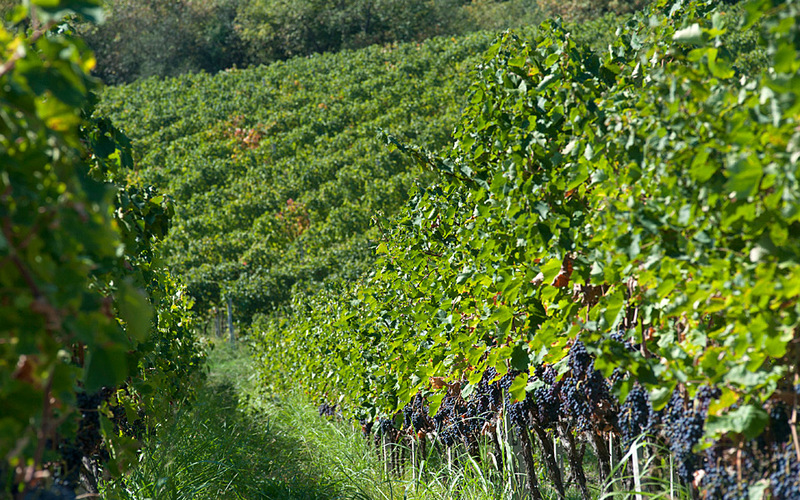 The wineries participate by opening their doors to everyone for tasting sessions and many activities for young and old. The city is very vibrant with an active night life. The center has been evolving over the past few years. 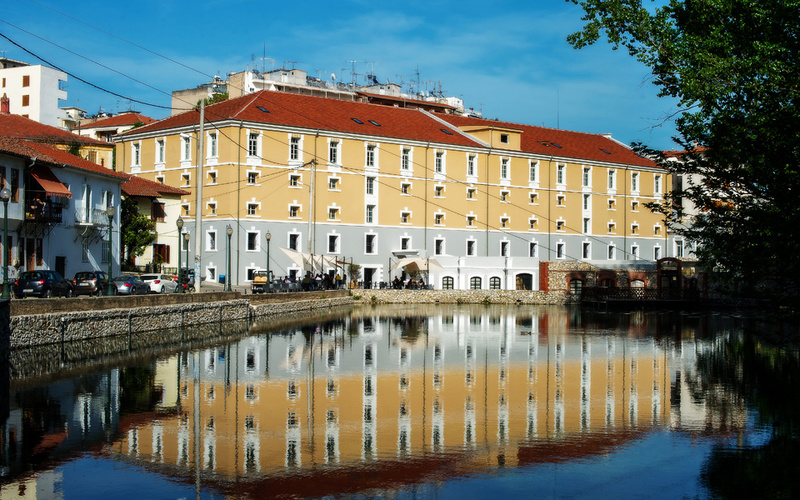 One of the main roads – Venizelou, once heavily commercial is now slowly changing in character and filling up with cafes and bars where one can enjoy a glass of regionally-produced wine paired with local meze. Many of the traditional cafes also serve iced ariani – a type of fermented milk that Drama’s dairy industry was one of the first in Greece to produce. Spring here is one of the most beautiful times of the year as it is when nature wakes and creates landscapes of exceptional beauty. Drama is surrounded by mountains covered in dense greenery. 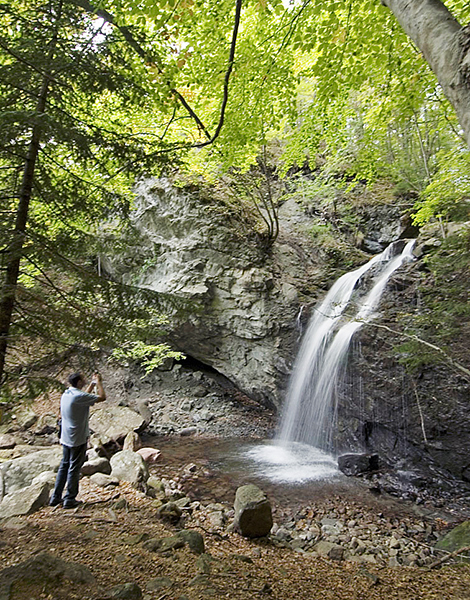 A short distance away, for nature-lovers there are many options for day-trips. One can go for a hike in the fir-forest of Elatia, to the Fraktos waterfalls, or to the natural swimming pools created by the waterfall of Aghia Varvara in Dipotamos. The adventurous can even go paragliding from the high point of Falakros. If you enjoy picnics, the Women’s Cooperative of Kokkinogeio makes a spectacular chicken pie. Pair it with local cheeses, cold-cuts and a bottle of Thema White from the Pavlidis Estate, made from Sauvignon Blanc and Assyrtiko varieties. If, on the other hand your picnic pairs better with a red, try a Therma Red, with rich notes of cherries and plums made from Syrah and Agiorgitiko varieties. Take the train from Drama railway station towards Xanthi. 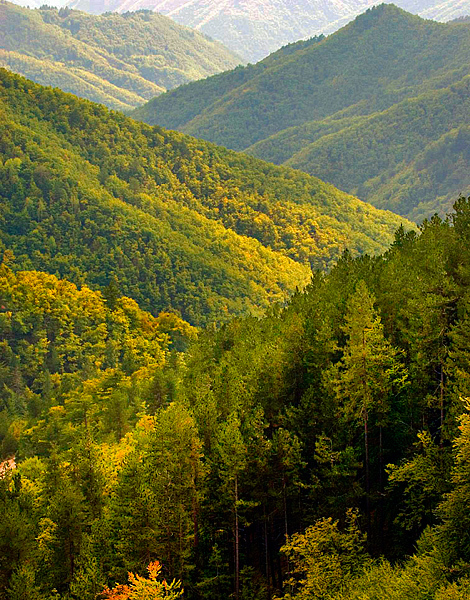 You will pass through magical landscapes travelling alongside the Nestos River. Adventure lovers can stop halfway along the route which takes a little over an hour for whitewater rafting or canoeing in Paranesti. 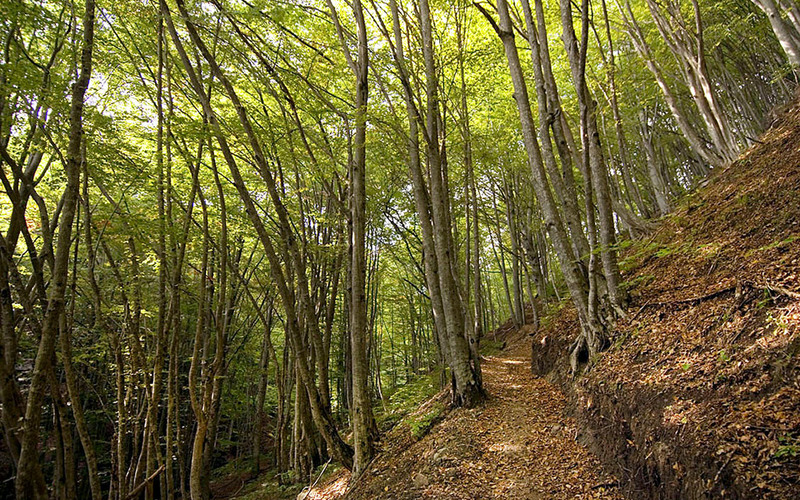 The area also hosts the Virgin Forest Trail long distance running event every year. One of the biggest river cave systems in Europe the Aggitis cave is truly impressive – personally I never get tired of visiting it. 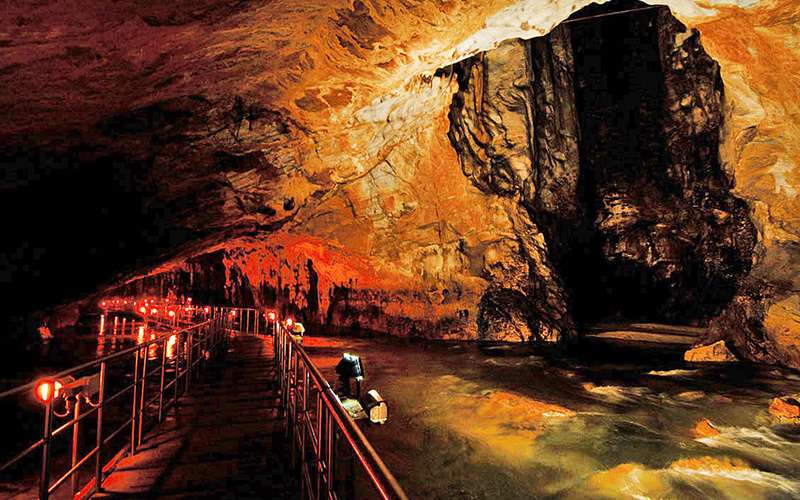 You walk along a wooden gangway over the water and can go up to 500m inside the cave which is full of stalactites. A very large part of it is not accessible to the public and only a few speleologists have had the luck to explore it. But even as a visitor you discover something new each time you go. What is particularly impressive is the steady temperature and humidity year round – which together with the darkness are what we look for when we are ageing wines. For that reason last year, after having secured a permit we stored a few bottles in a crevice in the rock wall to see how the wine ages in ‘cave’ conditions. We are eagerly looking forward to opening the first bottles at the end of May. *For the past 20 years, the Pavlidis Estate has been producing a number of internationally acclaimed wines such as the outstanding Thema series featured in the Wine Enthusiast magazine’s top 100 list for 2016, and the Emphasis line of single-variety wines. 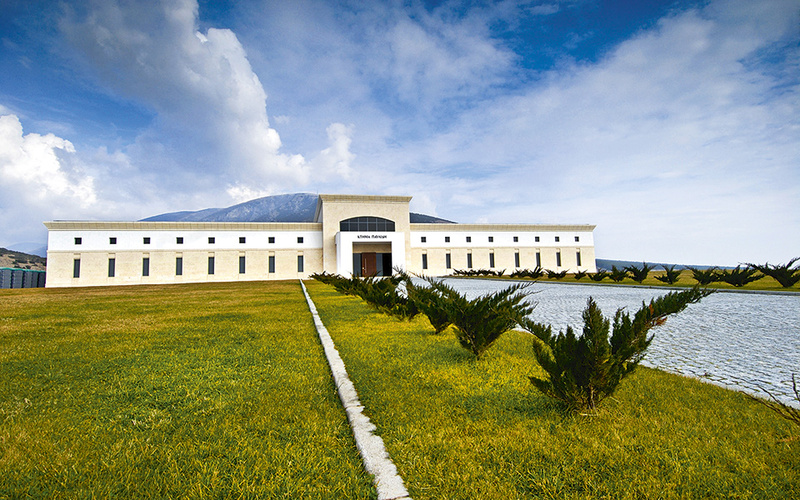 The winery is located on the outskirts of Falakro mountain, near the cave of Aggitis. The vineyards total area covers approximately 60 hectares, located in Kokkinogeia and Perihora. Drama is located 647k from Athens (7½ hours) and 147k from Thessaloniki (1½ hours). A round trip by car from Athens including tolls and fuel costs around €235. Winery and museum in one.